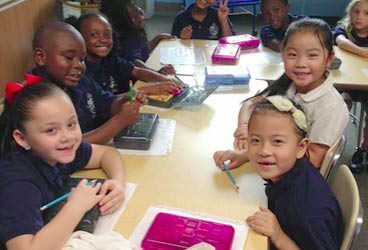 Happy faces with new school supplies! I would like to thank the Newman Community for their generous donations toward school supplies for Our Lady of Black Rock! 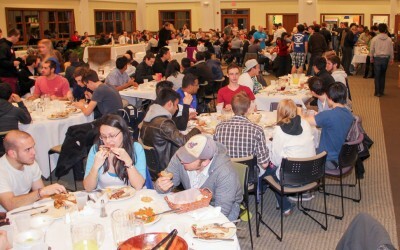 Wednesday night dinners are a time when students and volunteers interact and get to know and learn from one another. Under the guidance of our chief cooks, Liz Papke and Debbie Brown, dedicated volunteers have prepared many, tasty new recipes this year. A joyful, Spring time student told me this week, “Thanks. It’s the only night I look forward to. Otherwise, PB & J.” Our numbers continue to grow. Please consider making a donation to help us to defray some of the cost of these events. Whether prospective or incoming, we are thrilled to have you! 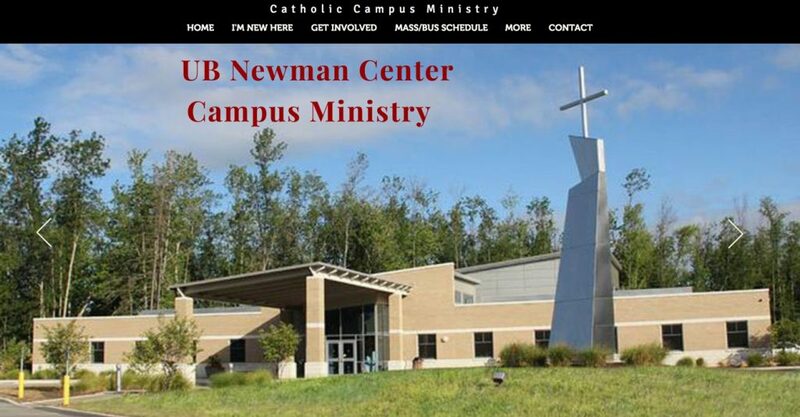 STUDENTS: Please visit our UB Newman Student website for more student information. 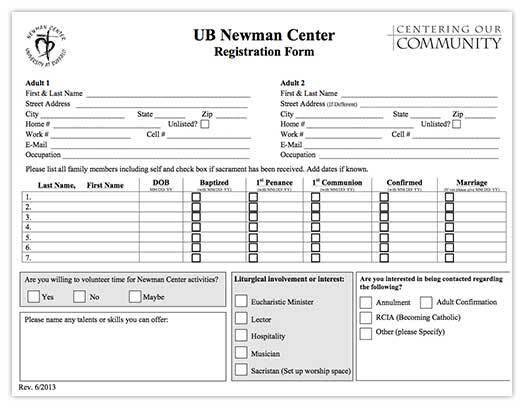 If you haven’t registered with the Newman Center at UB Parish, please do so now by downloading the Parish Registration Form PDF, filling it out, and dropping it off at Mass. Thank you! 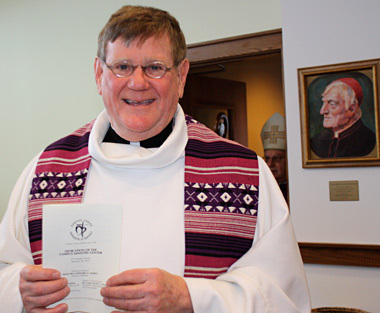 Download the latest bulletin; subscribe to be notified automatically when they’re available. Brought to you by Seek and Find. Please consider the option of giving automatically online.